Crowdsourcing has entered the realm of journalism. Help a Reporter Out (HARO) is one of many – although probably the best – of the services linking journalists and sources. When journalists are missing the final piece of a puzzle, or in need of a fresh perspective, they can put their questions to the people. PR veteran Peter Shankman started HARO in early 2008 as a Facebook group intended to connect reporters to sources. Since then, HARO grew into a successful business, without significant overhead, and by 2009 averaged over $1 million in yearly revenue. Shankman began the Facebook group after he found he couldn’t help a reporter find a source on sub-Saharan Nigerian farming soil. When Shankman realized he didn’t know any experts who could help, he launched the Help A Reporter Out Facebook group to help authors, reporters and their sources connect. After two months, the Facebook HARO group reached the 1,200 member limit. Now, HARO distributes over 50,000 journalist queries from top-tier media sources. It’s easy user interface allows over 475,000 sources to share vital expertise, industrial insight or personal experience in seconds. Owned by Cision, a leading global media intelligence company based in Chicago, HARO is heavily used worldwide. To learn how to maximize your chances of being selected as a HARO source by a journalist, you need information from those who actually experienced success. We gathered the information for you, and put together a list of 5 golden rules. So far available only to US reporters, Help A Reporter Out (HARO), a service of Vocus (NASDAQ: VOCS) has finally opened up to UK reporters and sources. 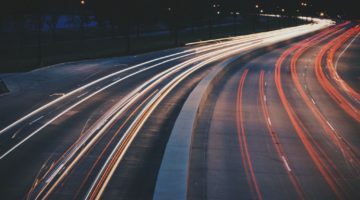 Following a recent release of their social media monitoring software, Vocus announced they had acquired Help a Reporter Out (HARO), a free service connecting bloggers and journalists with their sources, mostly small businesses and entrepreneurs.